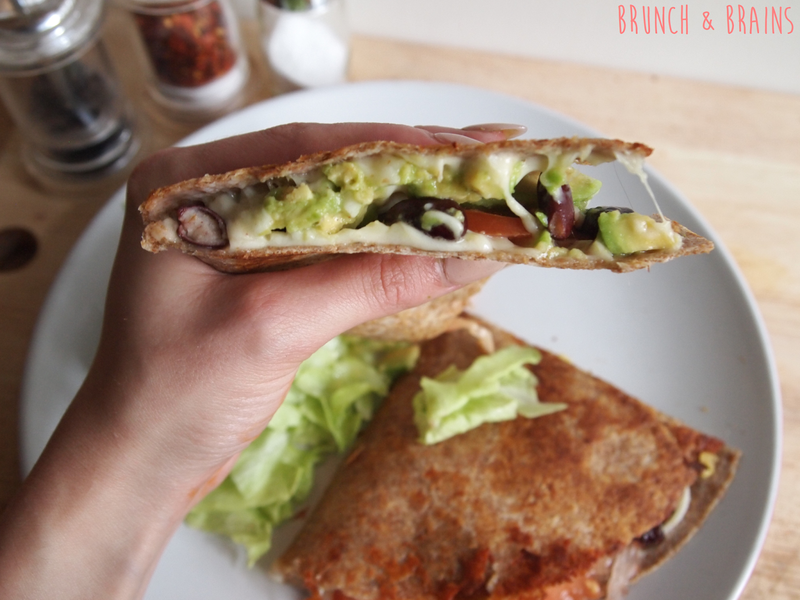 Quesadillas are one of the simplest things to make, although maybe overlooked in the brunch category. 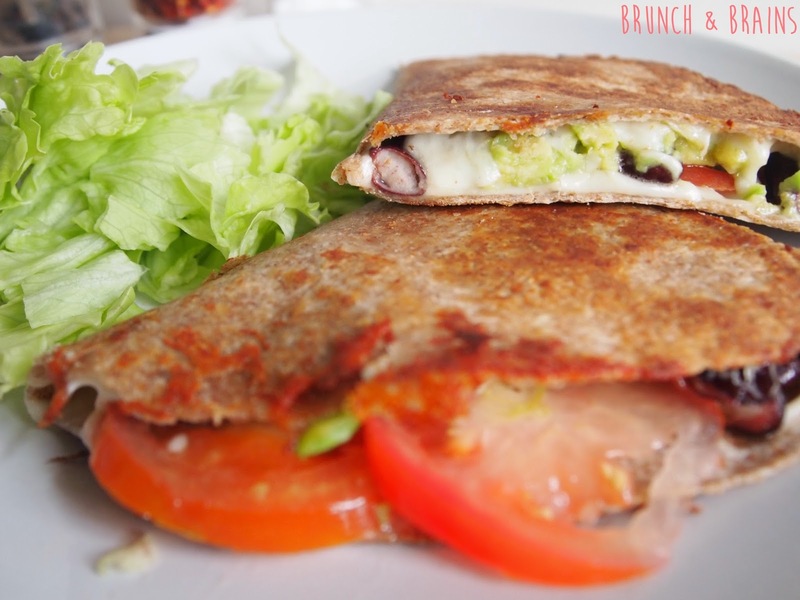 The combination of the slightly crisp tortilla and the squidgy deliciousness of the mozzarella makes is the kind of meal that will be sure to get you out of bed. 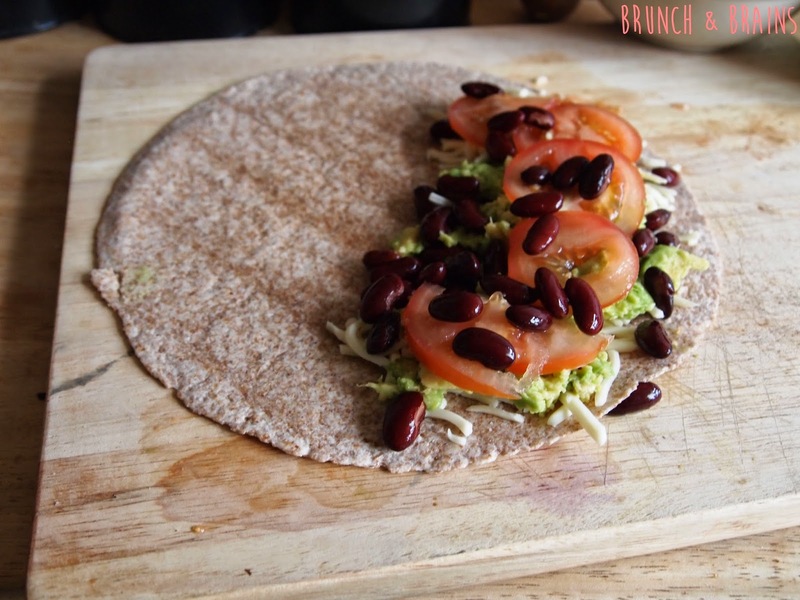 The tomato adds a zingy-ness to this version, the avocado is cool and creamy and the kidney beans are filling and a nice swap for the traditional baked beans we Brits love over our breakfast. This is a cheap and thrifty meal and takes about 15 from chopping board to plate. 1) Prepare your ingredients. 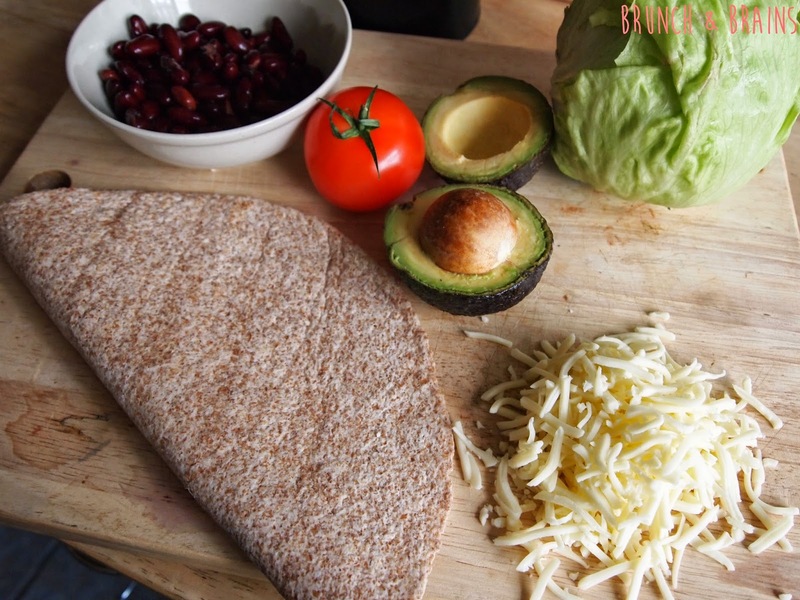 Slice the tomato thinly, rinse your kidney beans, and peel and mash your avocado. 2) Lay out your tortilla and on one half begin to layer your fillings. 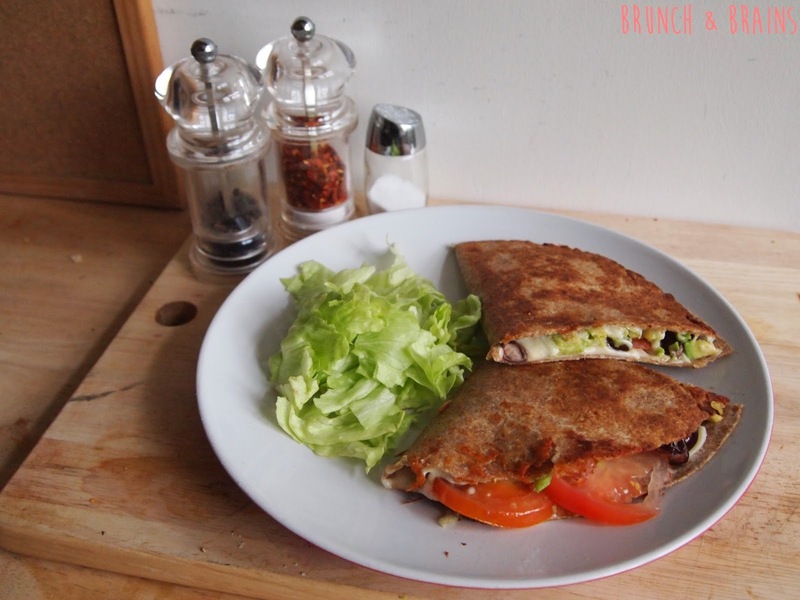 You can put them in any order you like, except that it is crucial you layer cheese either side, so that when the tortilla is folded cheese is touching both sides. The cheese is the thing that will hold your quesadilla together when it is melted in the pan. 3) Heat a table spoon of vegetable oil in the frying pan and leave to warm up on a medium heat for about a minute. 4) Gently lower your quesadilla in to the pan and fry for 3 – 5 minutes on each side, depending on how crispy you want it. 5) Garnish with salad and enjoy!